About half of the program’s licensees are based in the United States, and the other half are spread around the globe. A complete list of licensees is available on our licensee directory. Motor oil has mattered for 70 years. Download our timeline infographic and follow the history of API motor oil standards.. The program’s requirements are described in API 1509, Engine Oil Licensing and Certification System. This standard describes the program’s performance requirements, explains the current engine oil service categories, shows how the marks are to be used, and explains the monitoring and enforcement program. Standards referenced by API 1509, such as ASTM D 4485, Standard Specification for Performance of Engine Oils, and SAE J300, Engine Oil Viscosity Classification, also play a critical role in defining the program. These can be purchased through their sponsoring organizations. 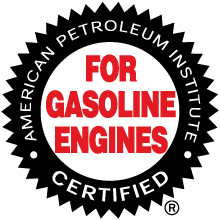 API has been testing packaged and bulk engine oils under its Aftermarket Audit Program (AMAP) since 1994. AMAP replaced the Oil Labeling Assessment Program (OLAP), a testing program jointly funded by the U.S. Army, the Independent Lubricant Manufacturers Association (ILMA), the former American Automobile Manufacturers Association (AAMA), and API. Under AMAP, API-licensed engine oils are purchased in the marketplace and tested to determine their physical, chemical, and performance properties. The results are compared to licensee formulations on file at API. Conforming oils show test results that are consistent with the formulations on-file and meet program requirements. All samples undergo elemental analysis, viscosity at 100°C, and high-temperature/high-shear testing. They may also be tested for cold cranking, pumpability, volatility, gelation, foaming, filterability, flash point, and shear stability. Product packages are checked to make sure they correctly display the API Marks and carry product trace codes and bulk oil receipts are checked for compliance with NIST Handbook 130 requirements. 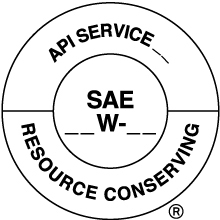 If a licensed oil does not match the physical and chemical data on file with API, API will work with the licensee to evaluate the nonconformity and take appropriate corrective action. Unresolved nonconformance issues are subject to additional enforcement actions spelled out in API 1509. Actions may include termination of the license to display the API Marks and removal of noncomplying product from the marketplace. If a licensed or unlicensed oil displays an improper label or unauthorized or inaccurate labeling infrmation, API will require the marketer to cease and desist from committing the violation and will request verification that the violation has been corrected. In addition to sampling licensed oils, API also samples and tests products encountered in the marketplace that are using the API certification marks without the authorization of API. To view a listing of these products please click here. To report a problem, concern or a trademark question please go to MotorOilMatters.org. There are many practical uses for used motor oil. A primary use is to rerefine it into a base stock for lubricating oil. This process is very similar to the refining of crude oil. The result is that the rerefined oil is of as high a quality as a virgin oil product. If you change your own oil, be certain that you take it to a collection center for recycling. If you take your car to an automotive service outlet, you can be fairly certain that they recycle the oil that they change. But if you're not sure, ask.